This soft plush elephant is good for all ages.. This is a soft gray elephant made with soft, woven fur. He has black safety eyes and is machine washable. 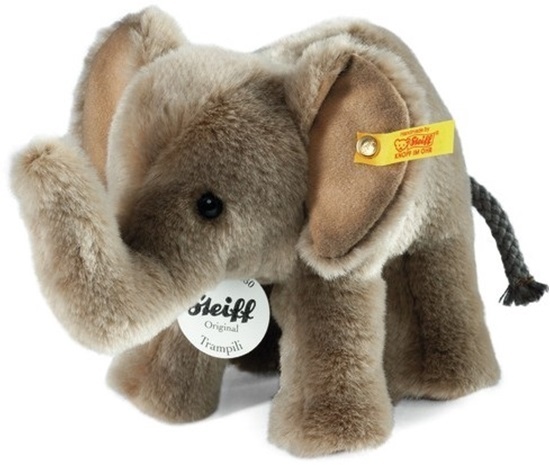 This elephant is good for all ages and the perfect size for little arms to hold and to hug all day long. He comes with a yellow tag "Button in Ear".